Home Archive by category "Rogue"
Please install the new Video Update notifications – how to delete? How can I remove Your Windows is infected with (2) Viruses! pop-ups? 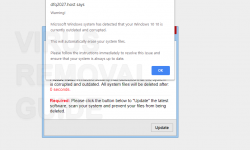 How to get rid of Your Windows 7 is infected with (2) Viruses! Microsoft alerts? Your Windows 10 is infected with (2) Viruses! notifications – how to delete? 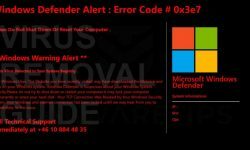 Your Windows Is Infected notifications – how to delete? How to get rid of Your Windows 10 is infected with (2) Viruses! Microsoft alerts? Microsoft Windows system has detected notifications – how to delete? 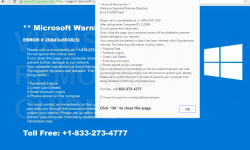 Microsoft Warning Alert notifications – how to delete? Zepto Virus Detected In Your System Registry notifications – how to delete?